Here is your opportunity to help prevent crime and influence a positive change to safety in your community. 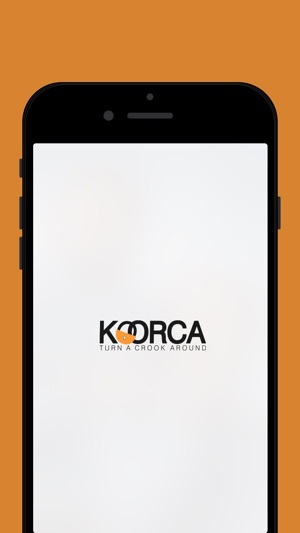 Download the KOORCA app today to help us, help you, help others. KOORCA is the only emergency app that can instantly pinpoint your location. If authorised, the emergency operator can see exactly where you are and send you the help you need. 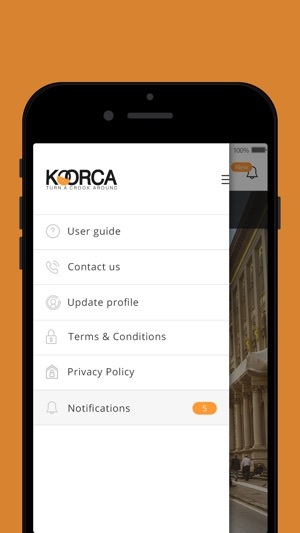 KOORCA also has CCTV capability and emergency alert notifications that will keep you safer than ever. 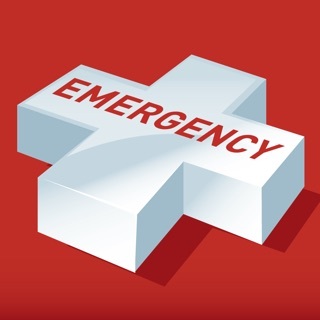 Your best option for emergency calls. 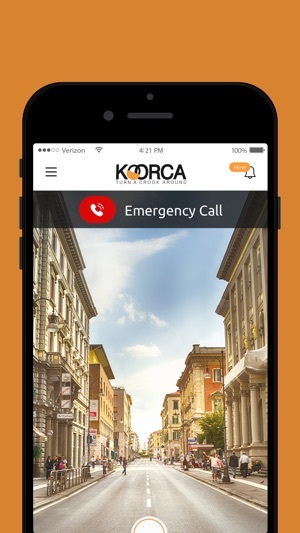 With a single button press, KOORCA will dial the emergency number for your location anywhere in the world and send your pinpoint location with a photograph of the scene to a database vault. 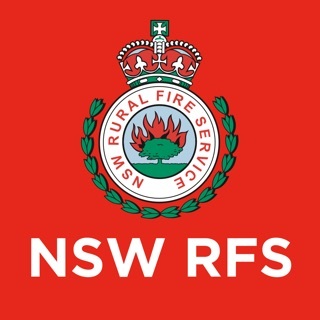 If your local government emergency agency is authorised, the emergency operator can see your situation in real time to get you the help you need in record time. Your best option to discourage criminal attacks. If you feel threatened by someone, KOORCA can help to minimise your risk of assault. With a single button tap, KOORCA will capture a photo (or video) of the person as well as your pinpoint location and send it, time and date stamped, to a database vault. KOORCA puts CCTV in your pocket and turns the tables on would-be offenders who now know they can quickly be identified if they have been tagged on KOORCA. - KOORCA - Turns A CROOK around. Your best option for safety in your community. If you choose to enable notifications, KOORCA enables emergency service agencies to send geographic specific alerts to you, with real time information about significant events unfolding in your area. Now you can avoid dangerous situations or assist the community in gathering information in real time during developing situations. No copy of any KOORCA transmission is retained on your phone and the database can only be searched by authorised government law enforcement and emergency services. The only information KOORCA needs is the phone number associated with the device; your personal identification information is never collected so users remain anonymous. Get on board to create a change in the way we communicate with emergency services. This technology is leading edge. 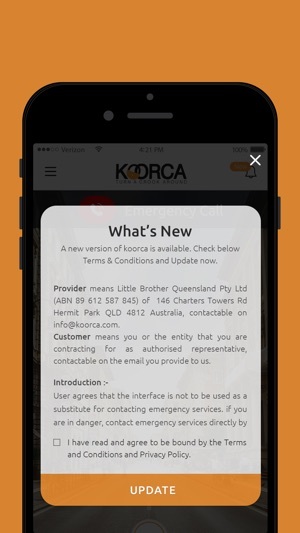 Get KOORCA today and you will get the most advanced and unique safety app in the world while also demonstrating to your government the demand for this service and to help us bring new government emergency service agencies on board. If we all contribute we can help the government help us. The sooner people get behind KOORCA the sooner we start saving lives. Thank you for your early support in this community initiative. Your safety is your responsibility and KOORCA puts it in your hands. Thanks for using Koorca App! 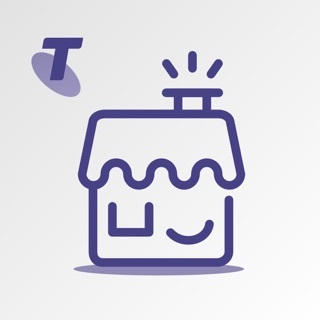 To make our app better for you, we bring updates to the App Store regularly. What a fantastic way to give parents piece of mind that help is only one click away. I hope that I or my children will never have to use this app, but I feel safe knowing that if my children are in a unfamiliar place and they need help this app will provided all the details needed and notify authorities to protect them.